You are here: Home / SME Business Guides / How To Create Your Business Website Easily By YOURSELF? How To Create Your Business Website Easily By YOURSELF? A website for your small business is one of the most important factors in today’s internet era. Every prospective customer first conducts an online search before making a purchase. A business website helps you generate more clients. Websites are better equipped to find out information about your products and services with the help of your website. Your contact details such as phone and email address are also easily accessible through a website. Basically, it provides a point of credibility to your business. Hence, having a website for your business is a must. Creating a website is no longer a tedious task. With the help of few online platforms, you can easily create one. Let’s take a look at some of the best ones that you can use below. But before you start, you would need to register the name of your website – also known as the domain name. For example: Just like Gromor Finance’s website name or domain name is gromor.in similarly, you too will have to get one for yourself. You can get from HostingRaja.in which will also provides you with some hosting plans. Create Your Business Website All By Yourself! Here are some platforms you can use to create your own small business website – without depending on anyone else! WordPress is the world’s most popular website building platform. Over 28% of all websites on the internet are powered by WordPress. It is a free and open source website builder. This means that you have maximum control over your website compared to any other platforms. 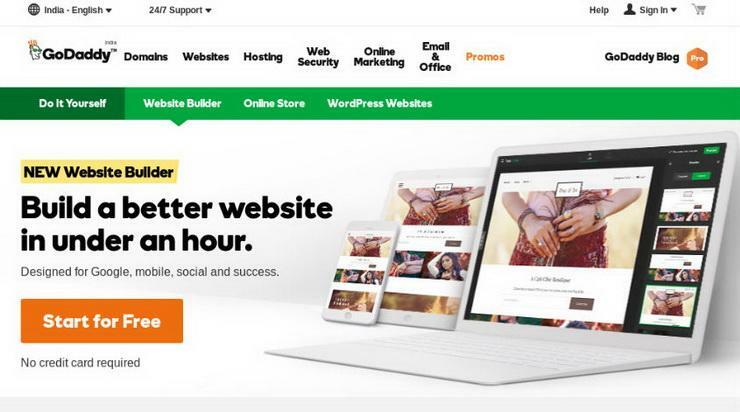 You can build any kind of website through WordPress such as an e-commerce store, community forums, a social network, a membership website, and more. You will also get access to more than 50,000 free WordPress plugins. Plugins are small software components that can be added on to your main website to enable specific functionalities. This could be sharing tools that allow visitors to share to your social media accounts or forms, so you can easily collect information etc. You can also find a lot of pre-built templates that can support all kinds of content. 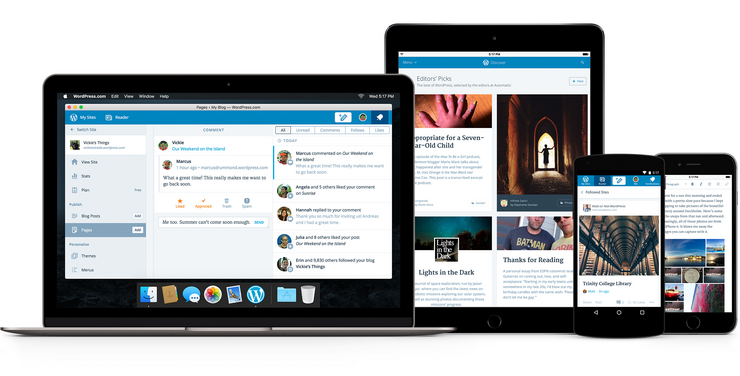 WordPress has a powerful blogging platform built in, so it’s a great choice for social media and content marketers. It can also be translated into dozens of languages, thus helping you create multilingual websites. You can hire a freelancer to help you set up a website on WordPress. A professional who is well versed in PHP/Wordpress will be the person for this task. Here’s a quick guide to help you set up a website with WordPress. 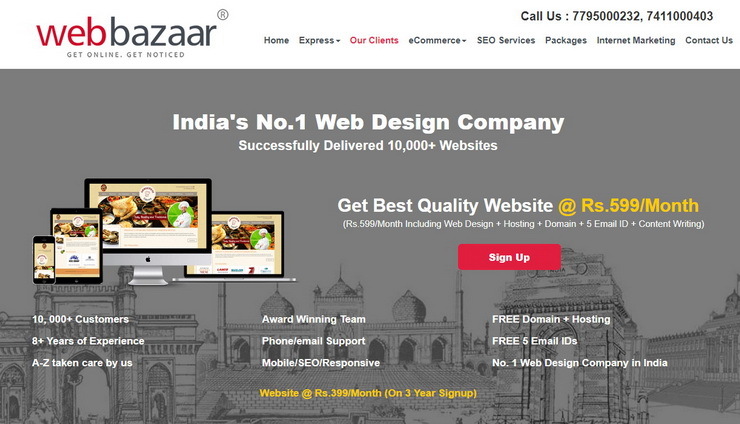 In case you need help in setting up your website, Webbazaar.com can help you with that. They help you build a website, set it up and also host it for you with plans starting as low as INR 599/- a month. What’s more, being an Indian company, Webbazaar understands how your site needs to be tailor-made for the Indian audiences, which gives it a slight edge over the other platforms on the list. You can get started with them from here. Wix is another popular website building platforms. 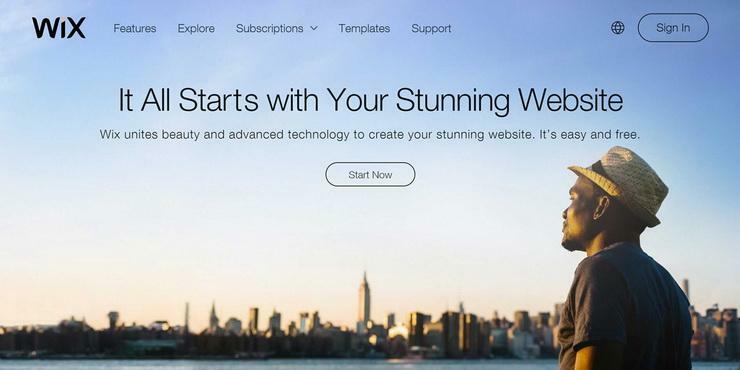 It offers ease of use combined with a powerful set of features to easily build your website. It is a fully hosted platform, so you do not have to pay for hosting. You get access to hundreds of templates to choose for your business website’s design, which are completely editable depending on your needs. It also comes with dozens of free and paid apps that you can install on your website. Wix offers a free plan and you can use it to test drive their platform. But it does include a domain name. So your website will open up as ‘birthdaygifts.wix.com’ instead of ‘birthdaygifts.com’. This can pose problems when your customers are trying to find you on search engines. If you are planning to use Wix, it is recommended to switch to a paid plan. Also Read: Here's How You Can Avoid Online Frauds! Here’s how you can create a website using Wix! 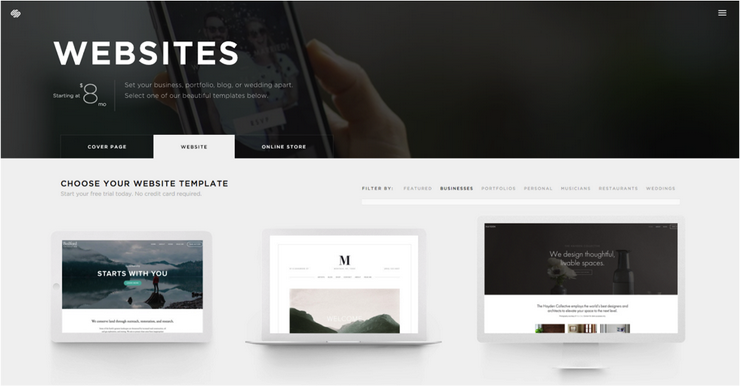 Squarespace is a fully hosted website builder known for its great designs and ease of use. It is one of the secure platforms that allows you to focus on your business without worrying about hosting. Squarespace includes tons of website designs to get started. All of these designs are fully ready for all types of content. They are also mobile responsive designs. These are fully editable, and Squarespace even allows you to use multiple templates for the same websites at once. Adding content is also very easy on your website through Squarespace. It also allows you do to add an online store to your website for e-commerce purpose. Squarespace offers limited integrations with third party service which can be a hurdle for growing your business. Create a website on Squarespace here! 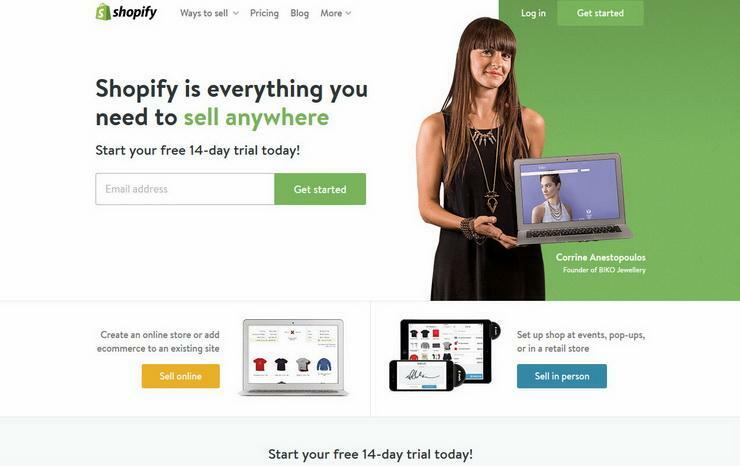 Shopify is a website builder designed specifically for online stores and e-commerce websites. It powers more than half a million businesses with 1 million active users. Shopify is an all in one fully hosted solution. This means you don’t have to worry about managing software, installing updates, or keeping backups. Shopify does all that for you. It offers fully integrated payment solutions, third-party payment gateways can also be added to accept payments. Since it is an e-commerce website builder, Shopify comes with full inventory management, unlimited products, powerful statistics, easy marketing solutions. No coding is required by you and you can choose from hundreds of template designs to build your e-commerce store. Build your website with Shopify! You can build different layouts with the help of ready to use blocks. It also has an integrated photo library with professional images that you can use on your website. You can also upload your own images. GoDaddy website builder works on smaller screens too. This allows you to work on your website on the go using the mobile phone. Here’s how you can build a website with GoDaddy! With the help of above platforms, creating a business website is very easy, quick and cheap! So go ahead, and start your own online website soon! While most of the options above, do help you with designing and some also, with hosting it; if you are looking at some affordable website hosting option designed mainly for Indian website owners, then HostingRaja.in is one such dependable platform. They have plans starting as low as INR 199/- per month for hosting. Get in touch with Gromor to avail unsecured loans for your business!